The picture at left shows yours truly (on right) sampling some single line in Malaysia, with my good friend Asghar Belim from India… Despite the fact I’ve been traveling the USA flying kites since 1990, international travel has always been somewhat elusive until this year. Having redefined myself in the last three years from sport kite competitor to demonstrator and journalist, my new approach and a couple of assists from good friends has finally allowed me to bring even more experience to these humble pages… Since taking over KL in August of last year, we seen an incredible amount of growth in the number of visitors gracing our pages. Our focus has been to streamline and improve existing services, as well as expanding those we already offer… Your ideas are always welcome, just drop us a line! The official invitation goes out to all of you… Kitelife is looking for more contributors and directors at large around the world! Check out Call for Literate Kiters in this issue for submission info, or if you’d like to become a KL director by coordinating with events and individuals in you area, email me directly. We’re planning on publishing two more issues of SKQ in the next couple of weeks, bringing us to a total 6 out of 14… If you haven’t seen it yet, take a peek! Lastly, if you like to support KL even further you might consider becoming an official subscriber… While our content is totally free, it is not free to maintain. In exchange for your support, become eligible for monthly or bi-monthly drawings for excellent prizes from our various sponsors, as well as gaining access to exclusive photos and video seen nowhere else! If you would like to officially subscribe on either a monthly, 6 month or yearly basis you can easily find the links to do so on our main page. 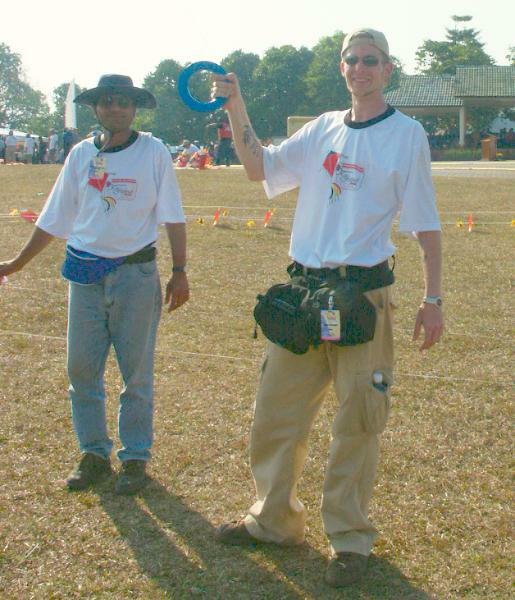 This entry was posted in 2004, From the Editor, Issue 35 (Mar/Apr), Kite Columns, KL Archive and tagged from the editor, kitelife, magazine, skq.